Gate Precast Company, a manufacturer of architectural precast concrete products in Ashland City, TN, has been admitted to Tennessee’s Safety and Health Achievement Recognition Program (SHARP). SHARP recognizes employers who operate an exemplary safety and health management system. 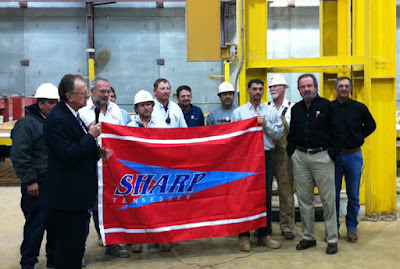 The Tennessee Department of Labor and Workforce Development formally presented the award to Gate Precast at its plant on Dec. 7, 2010, positioning Gate as the largest SHARP Certified manufacturing facility in Tennessee.